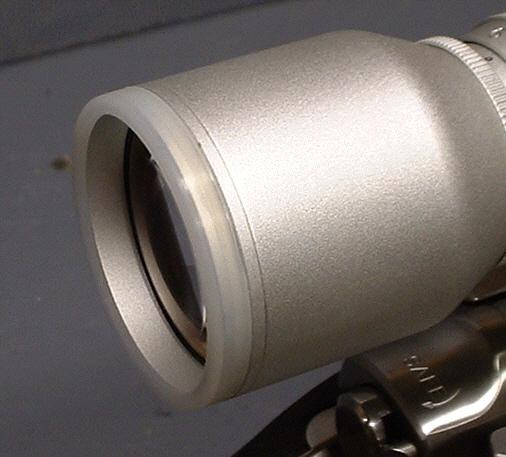 Wow, try and find a stainless scope and you quickly discover just how limited your options are. Wakeup scope people, everyone is selling stainless rifles, we need a bigger scope selection ! I really was surprised at the small number of choices but maybe that will change over time. Hunting for a new scope for this rifle. The current scope is a worn out old 3x9 in matte and not only does it look bad on the gun it looks bad when you peer down range. Maybe I spend too much time considering all my options. Maybe in the long run, it really doesn't make that much difference. However, I like to think it's important. So, I did my research and concluded that the Aetec would best suit my budget and way of thinking. Having strongly considered the Bushnell Elite 3200 in 3-9x40, I decided that if I could not have more power, at least a larger objective would be beneficial. Throw in a sunshade and a $50 savings in price and the choice was made. Now, I said I could not have more power. That isn't completely true. Simmons does make a Pro Hunter 6-18x40 in target grey, but it had 2 strikes against it. First off, my gun isn't target grey, it's stainless. Second, I stumbled into a product review that lead me to believe that the target grey model might be the chinese made version of the Pro Hunter. I dug out my 6-18x40 Pro Hunter(matte) box and it reads "made in the Philippines." I love my Pro Hunter. So I kept digging, found the box for my Simmons 3-9x40 8 Pointer, which I am not overly fond of and guess what, the bottom of the box says "made in China". Maybe there is something to this Chinese vs Philippines manufacturing thing, what do I know. I guess I could have contacted Simmons and asked where the target grey model is produced but I didn't figure it was worth the trouble. I wanted stainless not grey so I scratched it from the list. I picked up an Aetec Stainless in 2.8-10x44 and set to work getting it all set up on the rifle. Naturally, my rings were not tall enough to allow the "larger" objective to clear the barrel so I snagged a pair of high rings and replaced my low rings. I lapped the new rings and set the scope in place. I think it looks great but of course looks aren't everything so I reserved judgment until I had taken it to the gun range. Very nice ! 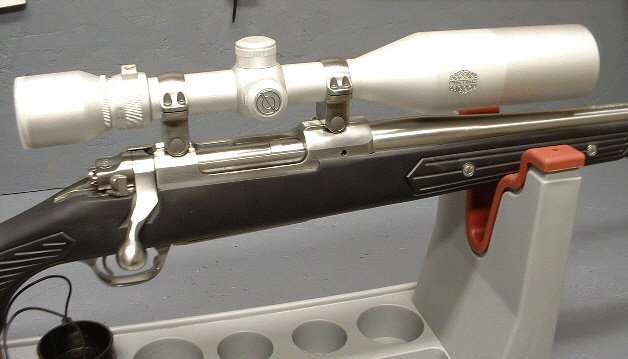 The scope measures 11.75 inches without the sun shade which adds 3 inches. Here in the Kansas City area, we have had nothing but clouds and drizzle for a week so it was not a very pretty day when I went to the range. Turned out to be a good test for the new scope. Visibility down at the 100 yard mark felt more like 200 yards with the persistent haze and drizzle but the Aetec pulled it's weight. The target was very crisp and clear. My 3rd shot had me 2 inches left of dead center. A few more clicks and it was right on the money. I proceeded to burn up some left over ammo and some rounds that I was testing and left feeling good about the scope and my load work. For the money, I think the Aetec is a great deal. I like the sun shade and the finish on the scope. 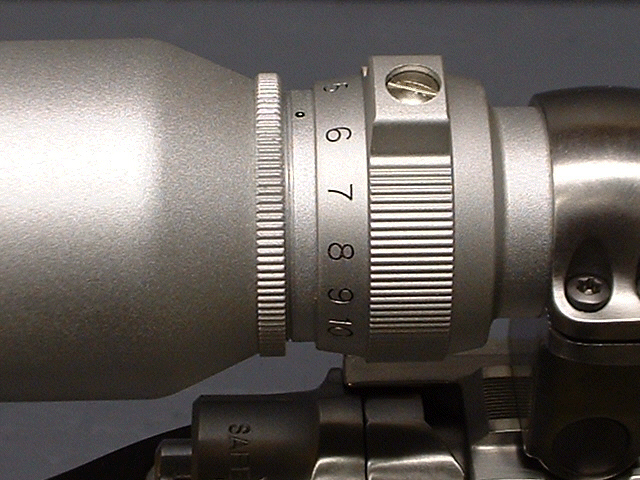 It has finger adjustable windage and elevation screws, but most scopes do anymore. I think the increased objective size will be a plus in low light and it can't be a bad thing out there at farther distances either. 2 things I did not like about the scope. The sun shade was obviously finished at a different time or with a different process because it is not an exact match to the scope, color wise. And the rubber eyepiece, "eyebrow guard" is clear plastic instead of black. I think black would have looked sharper. The clear looks a little cheap though it does seem to "blend in" fairly well. Dollar for dollar, I give it 2 thumbs up.